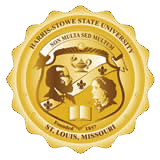 Thank you for your interest in doing business with Harris-Stowe State University. All new vendors must complete a Vendor Registration Application form which can be downloaded from below. Upon receipt of the completed Vendor Registration Application form, the data will be input into the University’s vendor database. Note: Being placed in the Vendor Registration Application Database does not insure any contract award. Please call (314) 340-3325, (314) 340-5763 or email purchasing@hssu.edu with any questions. University procurement personnel, evaluators and any other persons involved in procurement decisions are prohibited from accepting for personal benefit: gifts, meals, trips, or any other item of significant value of a monetary advantage from a vendor.